You are here: Home » SmallBiz News » Where Can I Find Storage Unit Auctions? Where Can I Find Storage Unit Auctions? Those savvy folks who need a way to supplement their income or create a home business, are finding these types of auctions to be a great way to find items to resell. There are stories of people who have found wonderful treasures hidden within what seems to be a worthless storage unit. 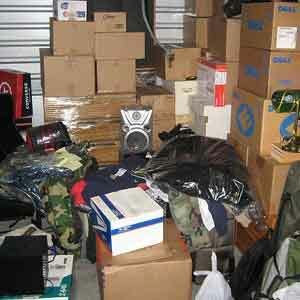 The problem often is though that to stay afloat with plenty to resell, how can I find storage unit auctions? The U.S. is the main location for this kind of business with thousands of facilities around the country. American families are known for their habits of accumulating far too much personal stuff and then failing to get rid of any to make room for more. What do they do? They rent storage units to shove it all into of course and pay monthly to keep it all stuff in there. It’s estimated that more than a hundred thousand units are auctioned off each month in this country. Storage rental facilities can be found most often in rural and industrial areas. A simple online search can provide nearby businesses that can be contacted for a possible auction schedule. There are also websites that provide auction listings for anywhere in the country simply by entering the zip code or town information. It is suggested that all businesses be contacted individually and also on the day of a scheduled auction if they are located several miles away from the auction hunter’s home just to be safe. Having all of these details will enable the person to make a decision as to which auction to participate in. Doing some research about each facility and the community will also provide some insight about the kind of goods that may be stored. More affluent neighborhoods may have significantly valuable items within the storage rentals, while others may contain a lot of junk that is not really resellable. Keeping an eye open for potential auctions and doing a bit of research will help increase income potential. The opportunities are many for those people who are willing to do the ground work and who are educated in how to go about the business of making money with storage unit auctions.